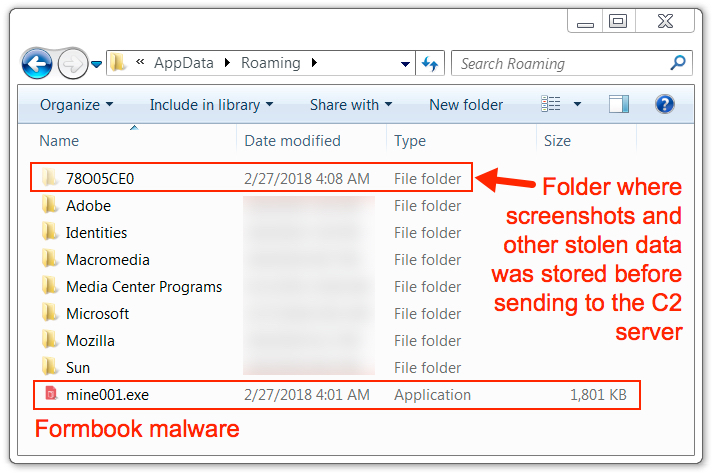 I wrote a diary about malicious spam (malspam) pushing the Formbook information stealer back in November 2017. Formbook malspam is still a thing. Recently, I've seen malspam with RTF attachments disguised as Word documents. These files use one of the recent exploits targeting unpatched versions of Microsoft Office like CVE-2017-8570 to infect computers with Formbook. Today's diary reviews recent Formbook malspam from Monday 2018-02-26. The email is disguised as a requirements document for a supposed sale. The email has a .docx attachment which is a decoy document that checks clean in VirusTotal. The email also has an RTF attachment disguised as a .doc file with the Microsoft Office exploit. Shown above: Screenshot from the malspam. 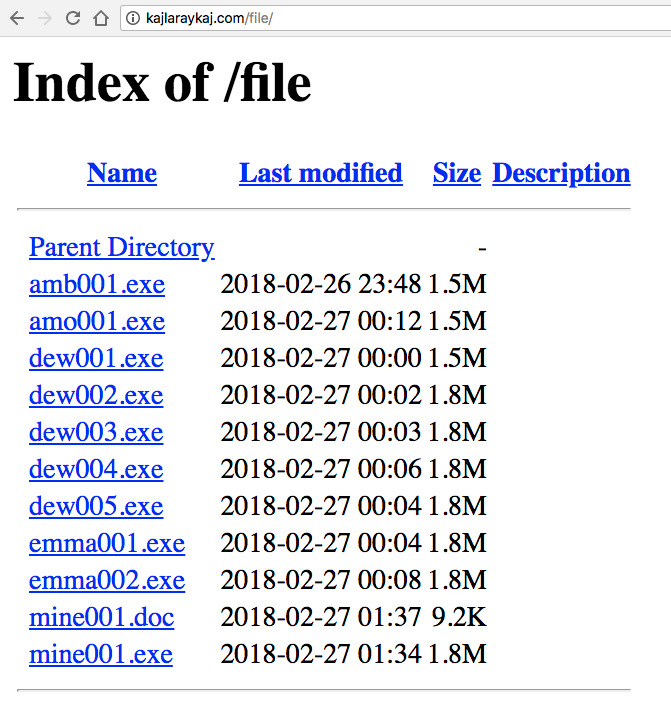 Opening the .doc attachment caused the same type of activity I've seen with previous RTF attachments using a CVE-2017-8570 exploit to target unpatched versions of Microsoft Office. Shown above: Opening the RTF file on a vulnerable Windows host. Post-infection traffic followed typical URL patterns I've seen before with Formbook. However, an initial HTTP request was caused by the RTF attachment to retrieve the Formbook binary. Checking that server, I found an open directory hosting other malware. Some of the malware was Formbook, some of it was Loki-Bot, and some of it I couldn't immediately identify. Shown above: Open directory on the compromised server showing more malware. The infected Windows host showed the same type of artifacts I've seen previously with Formbook malware. Formbook was made persistent on the infected Windows host through an update to the Windows registry. Shown above: Artifacts in the user's AppData\Roaming directory. Shown above: Windows registry showing Formbook persistent on the infected host. 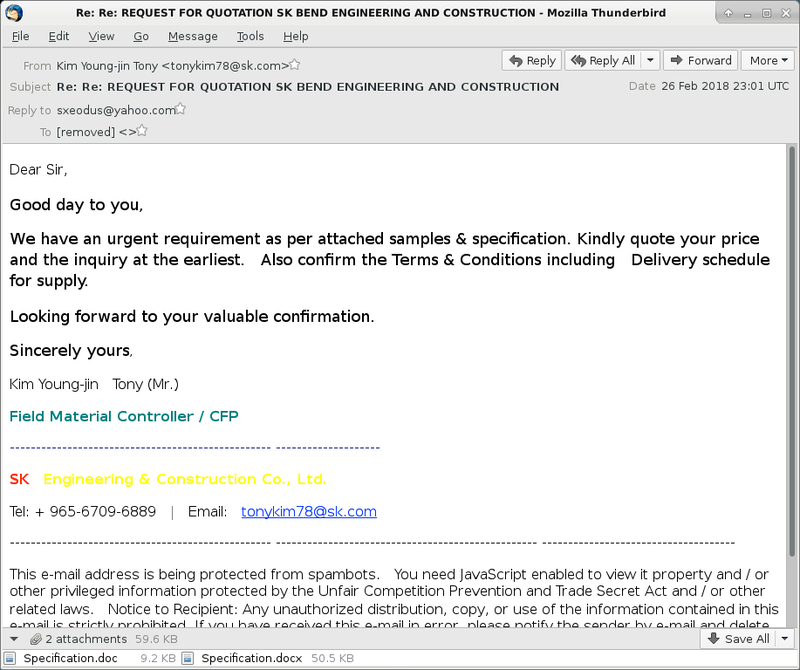 NOTE: mine001.doc has the same file hash as the RTF attachment from the malspam named Specification.doc. As always, properly-administered Windows hosts are unlikely to get infected. To infect their computers, users would have to ignore multiple warnings from Microsoft Word when opening the malicious RTF attachment. System administrators and the technically inclined can also implement best practices like Software Restriction Policies (SRP) or AppLocker to prevent these types of infections.